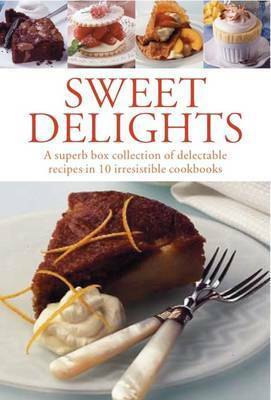 This superb boxed collection of 10 irresistible cookbooks contains over 320 recipes to suit everyone, from everyday tempting teabreads, cookies and muffins to wickedly indulgent chocolate cakes, irresistible fruit tarts, light and moreish pastries, filled crepes and iced fancies. Each book is packed with information on key ingredients, preparation and cooking techniques, and is fully illustrated throughout in colour with over 1150 fabulous colour photographs, including illustrations of each finished dish and step-by-step instructions. As well as writing cookbooks, Valerie Ferguson has represented a number of award-winning restaurants while running her own public relations consultancy, Headlines PR. She has also organised food and wine workshops for national magazines including Taste, Good Housekeeping and Woman's Journal, and managed her own catering service and cookery school, Green Cuisine, for many years.